Combine tart and sweet rhubarb with strong nicotine kicks and you’ll get Skruf Super White Slim Red Rhuby No.3 (Strong). These tobacco free and all white nicotine pouches drips minimally and deliver a long lasting release of both flavor and nicotine. 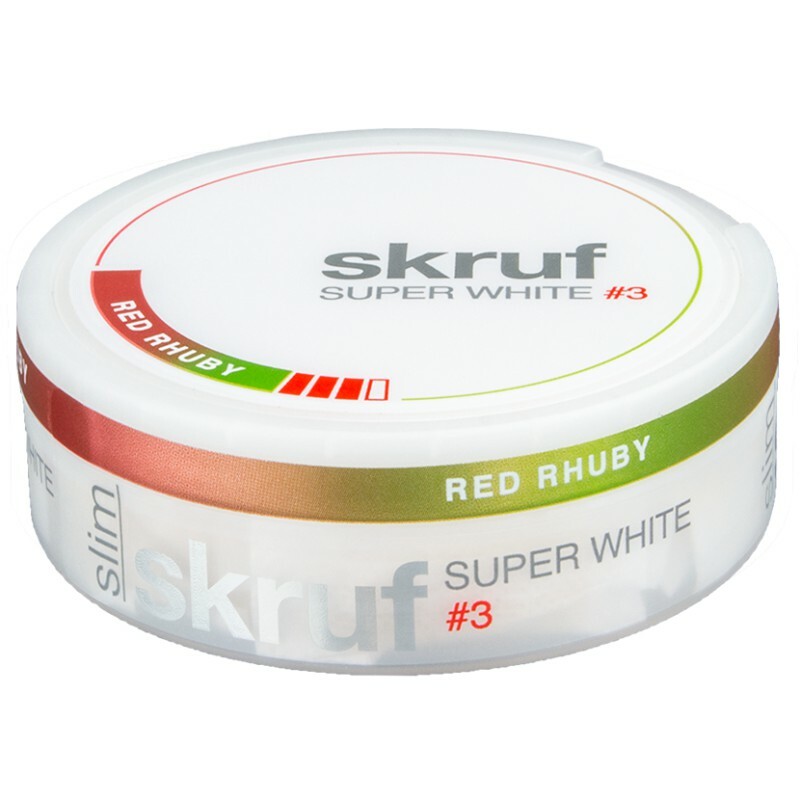 Skruf Super White Slim Red Rhuby No.3 (Strong) is a summery delight packed with flavor and nicotine. The innovative design of its tobacco free nicotine pouches makes it deliver a fresh and discreet experience. These slim sized pouches fits comfortably under your lip, their all white filling made out of a natural fiber mix minimizes the drip and eliminates the risk of them staining your teeth. Combine all of this with a strong nicotine kick and a long lasting flavor burts of sweetly tart rhubarb and you’ll get something truly refreshing to enjoy either at home or when you’re on the go!